A stereotyping of the science fiction genre would have it be described as slow, boring and dull. If that is the case, then “Altered Carbon” is the quintessential example of that stereotype. In a time where a person’s consciousness can be transferred from body to body via storage devices imbedded in the neck, a terrorist from the past (Joel Kinnaman) is awakened in a new body to help solve the murder of Laurens Bancroft (James Purefoy), the richest man in the world. The first episode is really good. It sets up some neat science fiction ideas to explore, it introduces a number of potentially interesting characters in a potentially interesting world, and the aesthetics are incredible. As the series progresses, it becomes apparent that the show peaked at its first episode. It is very troubling when the pilot is the best episode, and then the only episodes that are good after that are the last two because things are actually happening in them. The one aspect that is transferred from the pilot episode to the rest of the series is the aesthetics. The futuristic look is very similar to the cityscape of “Blade Runner 2049;” there are a number of gorgeous shots that utilize a blue, orange and black color palette. Besides the look, though, every positive attribute that the pilot episode introduced does not get delivered on. The science fiction ideas that the show brings up are indeed neat, and when a new idea is brought up based on the initial idea of transferable consciousness it can easily be the best part of any episode. The problem is that these moments are very sparse, and most of the ideas that are brought up just make the world unbelievable or confusing. For example, how does one’s conscious get initially transferred from the person to their storage device? In a world where no one can die, how is there no overpopulation? These questions seem like minor points, but it can derail the entire premise if the audience does not believe in the world that is being presented to them. The poorly explained science fiction ideas could be forgiven if there was anything else offered of interest in the show, but those mostly lackluster ideas are the best part. The only other constant through line are the characters, who get decent establishment in the pilot, and then get next to nothing. There are a few instances of character development, but it seems to come out of nowhere. The one time there is actual development of a character is in the seventh episode, “Nora Inu,” when Kinnaman’s character’s entire past is shown in full. At this point, though, Kinnaman has proven to be uninteresting and unfollowable in the series, so his backstory is just boring. Then there is the story, which is a hodgepodge of story lines that seem random, but then they all conveniently and coincidentally work together in the end. It is not necessarily that the story lines shown are done poorly, but the fact is that since the connection between them seems almost nonexistent, that it is hard to care because there is no way for the audience to know why it matters and because the story lines all seem randomly selected. The showrunners seem to have realized how random and confusing it all was, because the end of the season is literally having all of the characters stand around to explain how the story lines connected to one another. Having an overly complicated story line that requires it to be fully explained to the audience so that all of the story lines make sense is a bad thing. “Altered Carbon” manages to do this in the worst possible way. Here is how the story basically breaks down: smart villain wants something, so the villain hatches an overly complicated plot to get what they want when they have the power to get what they want anyways, so why even bother with a complicated plan which requires multiple coincidences to make it work? 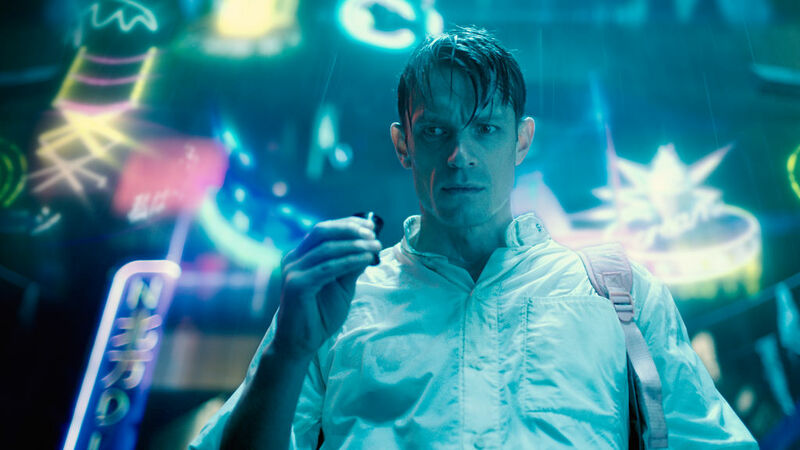 “Altered Carbon” seems like it has the potential of being one of those movies or television shows where it would be better upon a second viewing, but it gives no reason for why anyone should bother re-watch it and see if that is true.